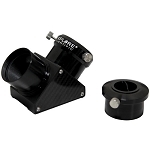 The Explore Scientific 2x Barlow Focal Extender (2" Barrel, 4 Elements) does exactly what the name implies; it extends the effective focal length of the lens that it is used in conjunction with, thus producing higher magnifications for imaging and visual applications. 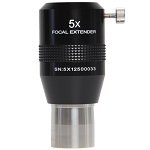 The Focal extender is similar to a Barlow or tele-negative lens, but there is one important difference between the two that you will want to take into consideration, especially if you plan to use the Explore Scientific Focal Extender for imaging and astro-photography. 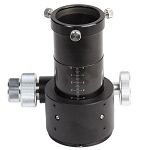 When you use a standard Barlow or tele-negative lens to increase the magnification of your optical system, your results will be dependent on where you place the Barlow in the optical chain. 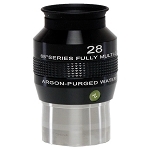 For instance, if you put a 2x Barlow lens in front of your diagonal instead of behind it (Barlow-Diagonal-Eyepiece as opposed to Diagonal-Barlow-Eyepiece), you won't get 2x magnification in both set-ups. 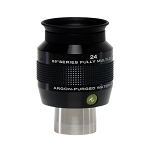 The magnification varies with placement. 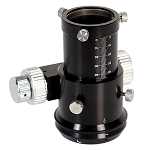 However, with an Explore Scientific Focal Extender, even if the distance is changed, the magnification remains the same. 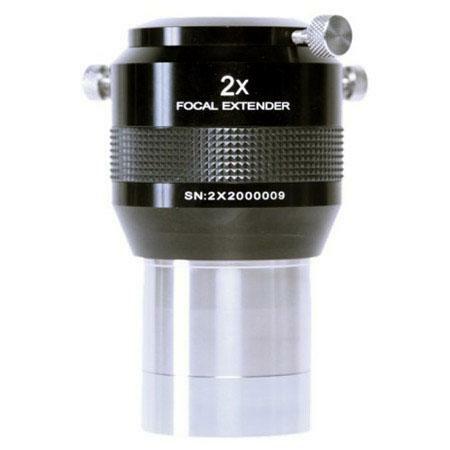 You can place your Focal Extender anywhere along the optical chain between an eyepiece or a camera and if you are supposed to get 2x magnification, you will get 2x magnification.